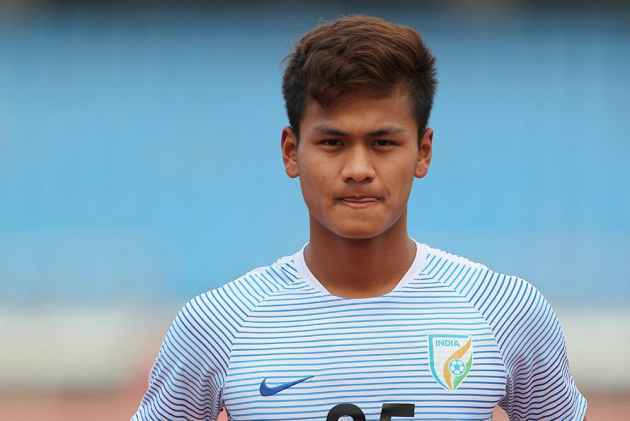 A few days have passed since you scored India’s first-ever goal in the Under-17 World Cup. Has it sunk in yet? I am very happy, but my team lost, so I am a little sad too. Colombia scored in the very next minute after my goal, so my happiness was short-lived. The goal came about because after celebrating, we did not focus and did not maintain the line. As a defensive midfielder how hopeful were you of scoring? I was very hopeful. I knew either I would score off a corner or cut back or some other move. I was visualising all of it…how to head the ball into the goal etc. All of that was playing in my mind. Finally, I got the chance and I headed the ball in—the same way I had visualised it. Even if I hadn’t scored, one of my teammates would have. Are you satisfied with your overall performance? I think I performed well against Colombia. Not just me but the entire team performed well. In the next match against Ghana, all of us were tired. Some players played all three matches and some were injured because of which we couldn’t perform well. We were not our best against Ghana. Did the team expect to perform that well or was it a surprise? Yes, we were expecting that. When we toured Mexico, the team drew against Chile and beat Italy 2-0. It was not easy to beat them. I also played there. After that we were all ready to give a good fight at the World Cup. We had been practising and working hard for four years. The federation also organised ­exposure trips to foreign countries for the team. That gave us a lot of confidence, that we were no inferior to our opponents, and that we could fight it out and get results. Were there any language problems within the team and the coaching staff? We all converse in English and all the players understand the football language…what the coaches are trying tell us. Who is your all-time favourite player? I have two—Sergio Busquets Burgos of FC Barcelona and Manchester United’s Nemanja Matic, both defensive midfie­lders. I like Sergio because he plays with a cool mind while Nemanja is very aggressive and speedy. Before going for a match, I analyse their videos and plan that I would do this and this today. I have their videos in my mobile phone. Next Story : The Highway, Yes. But Not Her Way! Football’s lesson in dispossession wasn’t in vain. East Bengal’s thraldom reigned at a distance; then came a sudden reinforcement of the refugee status.